1). Treating fever, colds and infections. 2). Reducing the pain of the joints and back. 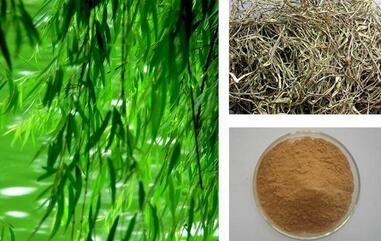 The white willow bark extract is derived from the bark of Salix alba Linn., and its effective component is Salicin. Application: This product is applied in medicine, health care products. Store in a well-closed container away from moisture,light and oxygen. 2 years under the conditions above and in its original packaging..